There has been a lot of talk in the past week about the race of Santa, as a Fox News anchor had an on-air rant about the “fact” that Santa (and Jesus) are both white. Now, Santa is a fictional character who lives in the North Pole, and last I heard Jesus was from the Middle East. Santa’s race seems like it could be a fluid thing that could change based on context. Jesus’s . . . not so much. Though judging by the preponderance of blond Jesus pictures I saw in my childhood, it seems like white people are comfortable with changing Jesus’s race, just as long as it’s in the lighter direction. But not Santa’s, apparently. That’s sacred. I know a lot of parents who are raising black children, and who intentionally represent Santa as a black man to their kids. This is nothing new. 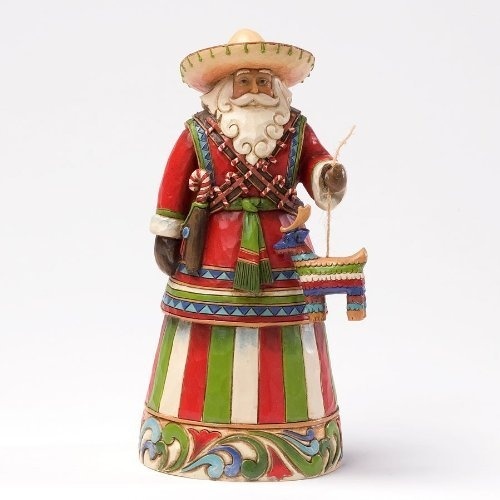 There are plenty of books and ornaments depicting a black Santa, and in other parts of the world, people celebrate Santa in shades that look different as well. It makes sense to me that when it comes to a generous, universal, and mythical figure, people would want that figure to look like them. What DOESN’T make sense to me is the backlash that is happening because some white people caught wind of the black Santa trend and feel the need to speak to how other people celebrate in their own family. Personally, I’m fine with Santa being white for my kids. We don’t emphasize Santa much in our Christmas tradition. In fact, I can’t think of a single Santa representation in my home right now. But my kids see books and pictures at school, and he’s generally white, and we’re going with that. I’m much more interested in depicting black role models to my kids that are actual people who lived and did real things. However, I totally affirm and understand and thumbs-up to anyone who feels like a black Santa is important for their family. (Or an Asian Santa. Or whatever makes your child feel mirrored and affirmed.) I really have to ask of anyone who is pushing back against a black Santa: Why do you care? What is going on for you that you’re concerned with how other people represent a fictional character? I feel like the backlash against a black Santa reveals a very ugly side of white privilege.To demand that Santa be white for everyone is bizarre and controlling. As controlling as say . . . demanding a person who doesn’t believe in Christ to wish you a Merry Christmas this December? Yeah. Kind of like that.